Robert joined the Navy in 1948 at the age of 19 and attended boot camp in San Diego, CA from June, 1948 through August 6, 1948. In 1950, Robert was assigned to the USS Boxer Aircraft Carrier (CV-21). The Boxer embarked Carrier Air Group 2, flying the F4U Corsair propeller driven fighter aircraft, and departed from Naval Air Station (NAS) Alameda for Korea on August 24, 1950. She had 110 aircraft aboard, intended to complement the hundreds of aircraft already operating in Korea. En route to the peninsula, the carrier narrowly avoided Typhoon Kezia which slowed her trip. She was the fourth aircraft carrier to arrive in Korea and participate in the war. 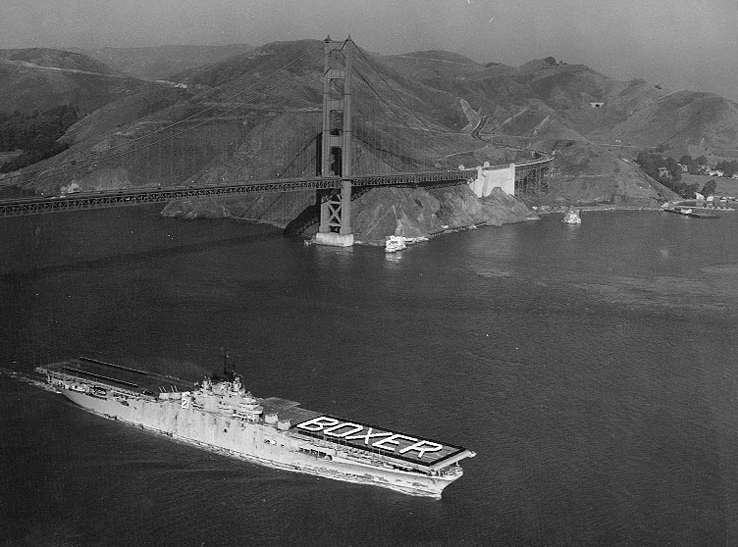 USS Boxer passes under the Golden Gate Bridge on her way to join the 7th Fleet, 1950. March 1950 issue of All Hands magazine (page 18). Robert’s journey started five months later from this same location in August 1950 as part of the Boxer’s first Korean War combat role deployment. 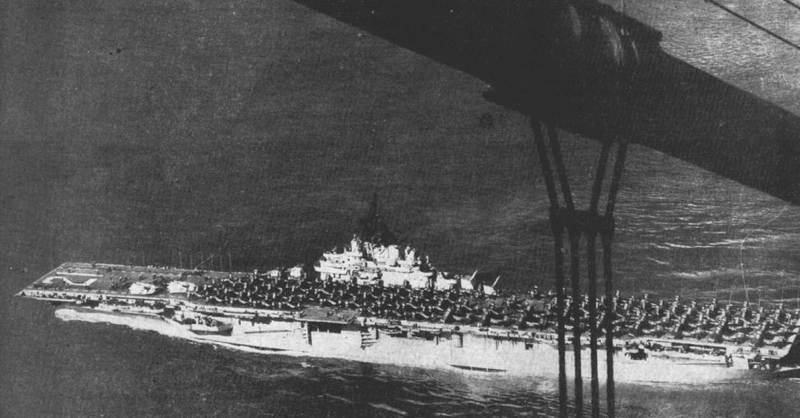 The USS Boxer (CV-21) was ordered to join a flotilla of 230 US ships which would participate in Operation Chromite, the UN counterattack at Inchon. She joined TF 77 and her planes supported the landing at Inchon on September 15, 1950 by providing close air support, blocking North Korean reinforcements and communications to prevent them from countering the attack. However, early in the operation, her propulsion system was damaged when a reduction gear in the ship’s engine broke, a casualty of her overdue maintenance. The ship’s engineers worked around the problem to keep the carrier in operation, but she was limited to 26 knots. Robert served on the USS Boxer (CV-21) August through November, 1950. During this time he worked 20 hours a day and often slept on the deck of the carrier. His duties included loading Napalm bombs onto aircraft. He said that 14 planes were lost at sea, mainly on initial take-off. Bombs being loaded under wings of Vought F4U Corsair and AD Skyraider attack planes on board USS Boxer (CV-21) September 15, 1950. Robert was serving on the Boxer when this footage was shot. Ill-fated take off of F4U Corsair from USS Boxer (CV-21) operating with Task Force 77 off Inchon, Korea, September 16, 1950. Pilot was Ensign James Brogan, USN. Shown at right is an excited observer in one of the super-structure gun mounts losing his battle helmet. Robert was serving on the Boxer when this photo was taken. Flight deck of USS Boxer (CV-21), September 16, 1950. Note smoke from take-off crash of Ensign James Brogan’s plane and helicopter performing rescue. Robert was serving on the Boxer when this photo was taken. Korea, September 15, 1950: Ammunition boxes being unloaded from United States Navy ship Mount Katmai onto the flight deck of air craft carrier Boxer. 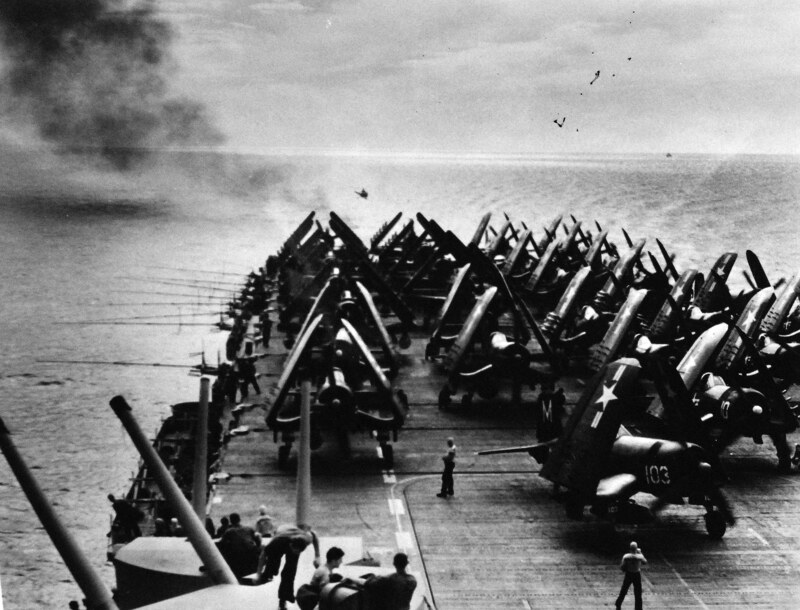 F4U Corsair planes on the flight deck of Boxer. A spray on the deck from heavy sea. Robert was serving on the Boxer when this footage was shot. USS Boxer (CV-21) with her crew spelling out her name on the flight deck, steams past the Golden Gate Bridge into San Francisco Bay as she returns from her first Korean War deployment, November 1950. Robert would have been on the Boxer when this photo was taken, but he transferred to the USS Curtiss (AV-4) in Japan. US Navy History and Heritage Command photo # NH 97282 from the collections of the Aviation History Branch. Sometime between September and November of 1950, the USS Boxer (CV-21) berthed in the dry docks in Yokosuka, Japan to repair the engine reduction gear that was damaged in the beginning of her deployment in Korea. It was from here that Robert and one of his shipmates, William (Bill) Maynard Chapman, took a train across Japan and boarded the USS Curtiss (AV-4). She had sailed from San Diego in July 1950 to join the 7th Fleet on patrol in the Korea Strait and was sailing out of Iwakuni, Japan in November 1950. USS Curtis (AV-4) in Iwakuni, Japan, 1950, lowering gas barges to refuel PBMs and RAF Sunderlands. This was Robert’s Thanksgiving Day meal on board the USS Curtiss (AV-4) in November 1950. From Japan, the USS Curtiss (AV-4) headed to the Korean War zone. In her role as a seaplane tender, she supported the operations of amphibious aircraft that were primarily engaged in anti-mine patrols off the coast of Korea from November 1950 through early January 1951. Robert said that the planes would use their 50 caliber machine guns to detonate the mines. 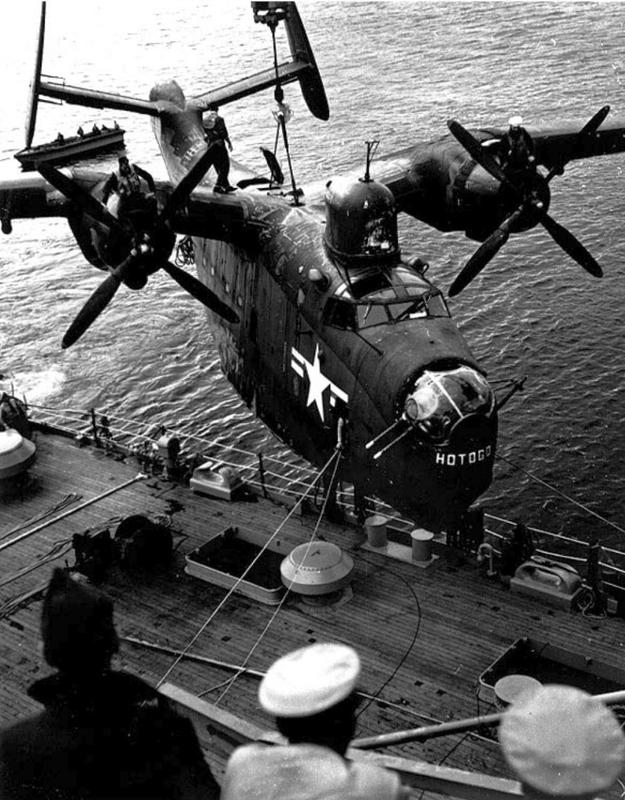 A Martin PBM-5 “Mariner” Patrol Bomber (with the nickname “HOTOGO” painted on its bow), is hoisted on board USS Curtiss (AV-4) in the Korean War zone, November 8, 1950. At that time this plane, and others from Fleet Air Wing 6, were engaged in anti-mine patrols off the Korean coast. Robert was serving on the USS Curtiss when this photo was taken. US Navy History and Heritage Command photo # NH 94616 from the collections of the Aviation History Branch. On January 14, 1951, the USS Curtiss (AV-4) arrived in Port Chicago, San Francisco where she underwent alterations to fit her as a base for scientific work. From February 23 through June 13, she served as flagship for Operation Greenhouse and was the base for civilian and military technicians during the atomic tests at Enewetak (Eniwetok) Atoll (Marshall islands). Aerial view of Eniwetok and Parry islands in the Enewetak (Eniwetok) Atoll. Robert said that there were approximately 500 men aboard the USS Curtis (AV-4) which was anchored off Parry Island during all four of the Operation Greenhouse test detonations – Dog, Easy, George and Item. Robert was one of those on deck who witnessed the detonation of three of these bombs. He said that there was a tremendous flash and then a few moments later an extremely loud crack like a bull whip. There weren’t enough protective goggles to go around, so the men were told to hold their forearm over their eyes. He said that the blast was so bright that he could see the bones in his arm. Robert had joined the ranks of what would later be called the Atomic Veterans. Islands in the Enewetak (Eniwetok) Atoll. Note location of the four tests that were performed when Robert was on board the USS Curtiss (AV-4) anchored at Parry Island. 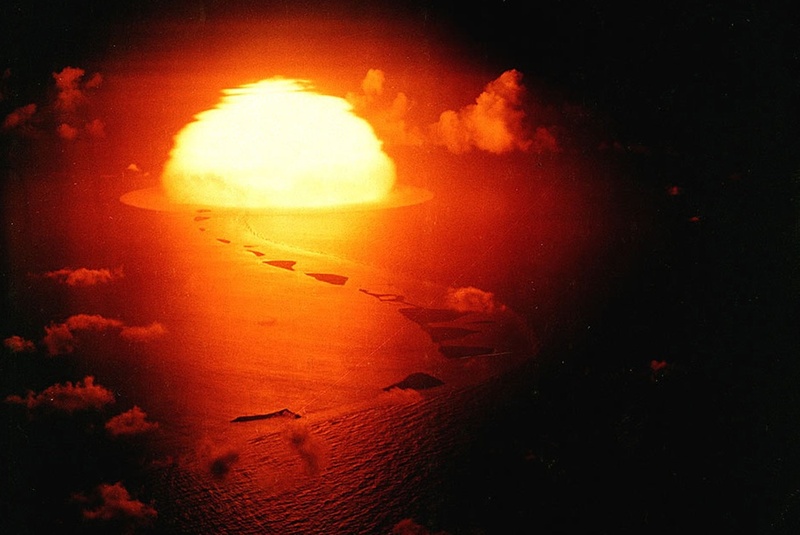 This test took place on the Runit (Yvonne) Island in the Enewetak (Eniwetok) Atoll. VIP observers sitting on the patio of the Officer’s Beach Club on Parry Island, approximately 10 miles from Runit Island, watching and being illuminated by the 81 kiloton (equivalent to 81 thousand tons or 162 million pounds of TNT) “Dog” shot (detonation) as part of Operation Greenhouse, on Enewetak Atoll, April 8, 1951. This bomb released 5.4 times more energy than the Hiroshima bomb at 15 kilotons. Robert was on board the USS Curtiss anchored off Parry island when this photo was taken. This test took place on the Enjebi (Janet) Island in the Enewetak (Eniwetok) Atoll. This test took place on the Ebiriru/Eleleron (Ruby) Island in the Enewetak (Eniwetok) Atoll. 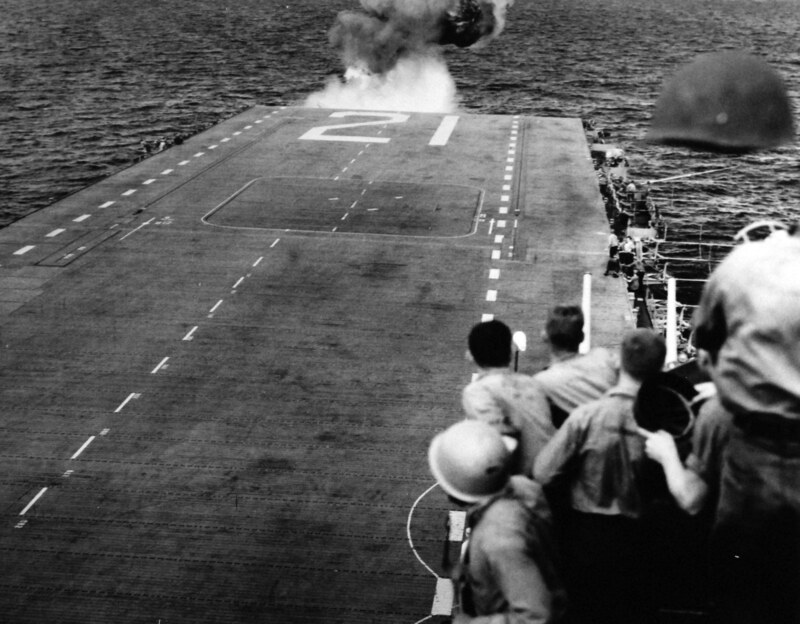 During one of the detonations, the wind changed direction causing radiation dust to blow towards the ship and onto the men. They were told to immediately take a shower, discard their shoes and wash their clothes. Page 61 of http://www.dtic.mil/dtic/tr/fulltext/u2/a134735.pdf makes a reference to this incident. After the atomic tests, the USS Curtiss (AV-4) returned to San Diego, CA where she performed exercises off the west coast. Robert continued to serve on her until his honorable discharge in June 1952. Robert Omar Childers was born September 25, 1928 in Klamath Falls, Oregon.